As a result of a national coalition effort including forest protection groups, Indigenous Peoples Organizations, anti-GMO and food safety groups, and climate justice organizations and including scientists, foresters, and ecologists, well over a quarter of a million people (280,000) and 600 organizations submitted comments yesterday rejecting the commercialization of ArborGen Inc.’s genetically engineered (GE) eucalyptus trees, which, if approved, would be the first-ever GE forest tree approved in the U.S. While ArborGen originally submitted the petition to legalize their GE eucalyptus trees in January 2011, the U.S. Department of Agriculture (USDA) dd not release their draft Environmental Impact Statement (dEIS) proposing approval of these GE trees until April 2017. The USDA comment period on the dEIS ended on 5 July. The approval of these GE trees could set a precedent for future approval of GE forest trees such as poplar and pine. The GE eucalyptus trees are engineered to tolerate freezing temperatures in order to greatly expand their growing range. In the dEIS, USDA downplayed or ignored the significant risks posed by these novel GE trees. The agency conservatively predicts commercial GE eucalyptus plantations would cover over one million acres across seven southern states—from coastal South Carolina to eastern Texas. Establishment of GE eucalyptus plantations across this region would have devastating consequences. The region is home to a number of the poorest counties in the country, as well as some of the most biodiverse ecosystems in the world. 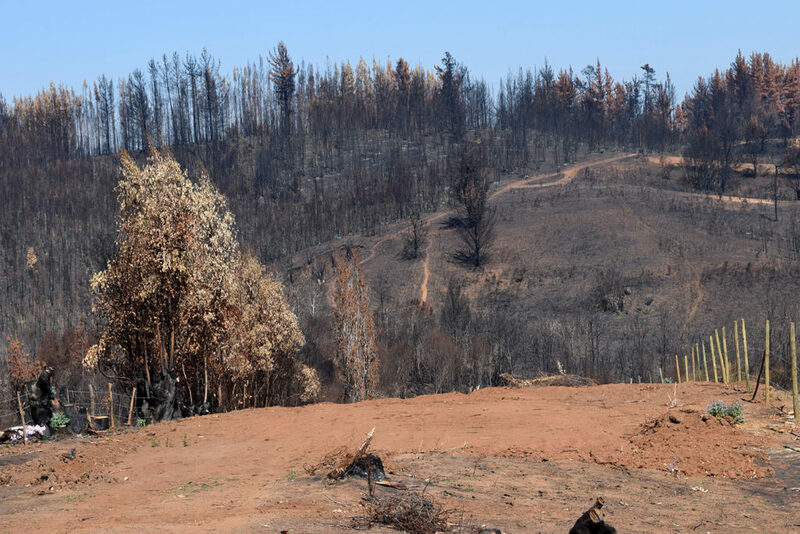 Just last month in Portugal, catastrophic wildfires that killed dozens were directly blamed on eucalyptus plantations that comprise more than one-quarter of Portugal’s tree cover. In January, Chile experienced the worst wildfires in its history, which led to major protests against the timber industry. In both cases, eucalyptus monocultures—well-known for being extremely flammable and depleting ground water—contributed to dry conditions that combined with heat waves to create the perfect setting for wildfire. Already the U.S. South is experiencing frequent droughts and heat waves, and climate change forecasts predict more of the same. As has become standard operating procedure for agencies under Trump, the USDA made no mention of climate change impacts in its proposed approval of these GE eucalyptus trees. Beyond the ecological impacts are the effects on local communities that will result from these GE eucalyptus plantations. “The Southeast is being targeted for these GE eucalyptus trees not only because of the growing season, but because this is where land and labor are cheap and people are poor,” explained BJ McManama of the Indigenous Environmental Network. In Chile and Brazil, Indigenous and traditional communities are rising up against eucalyptus and plantations–in some cases cutting them down. They are protesting the loss of fresh water and the rising levels of sickness due to exposure to toxic agrochemicals used on the plantations. In some cases, Indigenous Peoples that have been violently evicted from their ancestral lands for plantations are occupying these plantations and rebuilding their villages. Here in the US, public opposition to GE eucalyptus has been consistent and strong. In February 2013, the government released ArborGen’s GE eucalyptus petition for public comment, resulting in a response of 10,000 to one opposing the GE eucalyptus trees. This was followed by the then-largest ever protest against GE trees at the Tree Biotechnology Conference in Asheville, NC. The effort to stop genetically engineered trees is continuing to build momentum as the effort to stop GE eucalyptus trees moves into the next phase. Anne Petermann is the Executive Director of Global Justice Ecology Project and the International Coordinator of the Campaign to STOP Genetically Engineered Trees. She has been working to halt GE tree development since 1999.